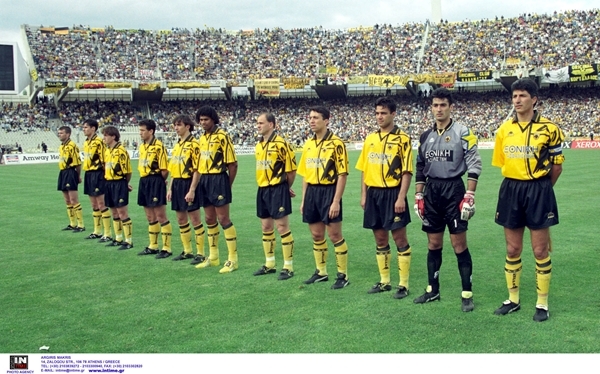 AEK reached the first Greek Cup after 13 years with impressive scores. Based in a magical top-scorer foursome Tsiartas, Kostis, Ketsbaia and Batista, kicked out Olympiacos and Panathinaikos and hammered Apollon 7-1 at the Olympic Stadium of Athens. Vassilis Tsiartas had a hat trick, Daniel Batista scored twice, Temuri Ketsbaia and Christos Kostis once each other.